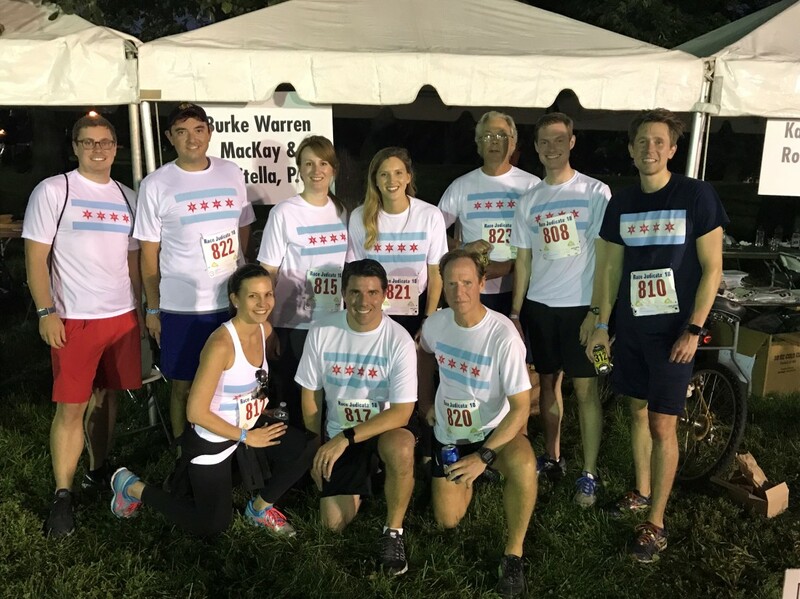 Earlier this fall, firm runners competed in Race Judicata, a 5K run/walk benefiting the Chicago Volunteer Legal Services Foundation. The race took participants on a scenic course around Lincoln Park. This year marked the 24th anniversary of the race and included over 5,000 participants. Firm team members pictured include (from left) Shane Stelma, Eric VanderPloeg, Jessica Cox, Pamela Gros, Andrew LeMar, Breanne Vaclavik, John Stephens, Doug Wambach, Eric Bernard and Josh Cauhorn.